Like a lot of people, I’m always on the lookout for useful apps and websites—preferably free—that make life easier. I thought I’d mention a few that I've found indispensible. Clearcheckbook is a free website and smartphone app that freed me from the tyranny of both Quicken and my handwritten checkbook register. Clearcheckbook is a cloud-based checkbook register that allows you to manage and track multiple checking accounts. It includes basic but essential checking account features like reconciliation (called “jiving” here), balances, recurring transactions, split transactions, reminders, budgeting, customizable spending and income categories, reports, etc. You can also import and export in a variety of file formats, including CSV and Quicken’s QDF. Better yet, the data is stored in the cloud in a free online user account, which can also be accessed via a ClearCheckBook smartphone app, so you can add purchases and check your balances remotely and on the go, which of course automatically syncs with the master account. This app does NOT connect to your actual bank, so there is no danger of compromising your checking account. It's simply an electronic checkbook register. To gain access to some additional features, users can upgrade to a paid premium account for $4 a month—for the most part, however, the free version meets all my needs. For me, the only drawback of the free version is that the income and expense totals for periods prior to the current calendar year is only available to premium users. As a workaround, though, I created a GoogleDocs spreadsheet into which I download my monthly checking account activity with a second sheet that automatically tallies income and expenses in total and by category for whatever date range I specify! Mint.com allows you to see a snapshot and track practically all your finances—checking and savings accounts, credit cards, investments, investment and retirement accounts, mortgage and car loans, etc.—in one convenient place. Though you do need to input your log-in information for each account to make the initial connection between Mint and the individual accounts, there otherwise is no compromising information within Mint that places any of your personal or account information at risk—account numbers are not used and accounts are not linked or connected in any way. In other words, you cannot move or transfer money between accounts within Mint. Users may understandably still feel squeamish about all this, but to date, there have been no reports of breach violations as a result of Mint. As this suggests, Mint is a one-stop website for users to check and monitor account balances and activities—individual transactions within the accounts are all viewable and update every time you log in or request it. And because it can connect to nearly any financial institution, the website calculates your net worth by adding your banking, savings and investments together, and subtracting debts such as mortgage, credit cards, and other loans. Since signing up for Mint, they've added a feature that provides an estimate of your home value as well. Other features at the site allow you to create and track a budget, receive reminders about upcoming payments, and advice on how to maximize investments and money management. 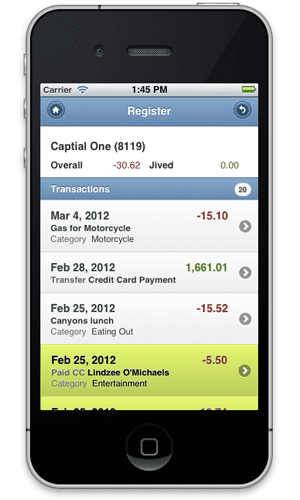 I can even access my financial data on the go thanks to Mint's free app for the iPhone! It’s so much more convenient than logging into different accounts. Interestingly, Mint was recently purchased by Quicken after trying to launch a rival product. They clearly decided they couldn’t match Mint's innovation or subscriber reach and, fortunately, have not made any noticeable changes to the application. Like many people today, I have several computers at home and at work, with different browsers and platforms. Until XMarks, maintaining a consistency of bookmarks on multiple platforms and devices used to be a nightmare. Xmarks is a browser add-on that allows users to synchronize and manage bookmarks across multiple browsers and devices. Users simply create a free registered account at Xmarks.com, to which they can upload and sync their bookmarks and then sync with as many browsers and computers as they wish! The bookmarks can be edited both within the browser and the online user account. You can even create different profiles to specify which bookmarks sync with each device. 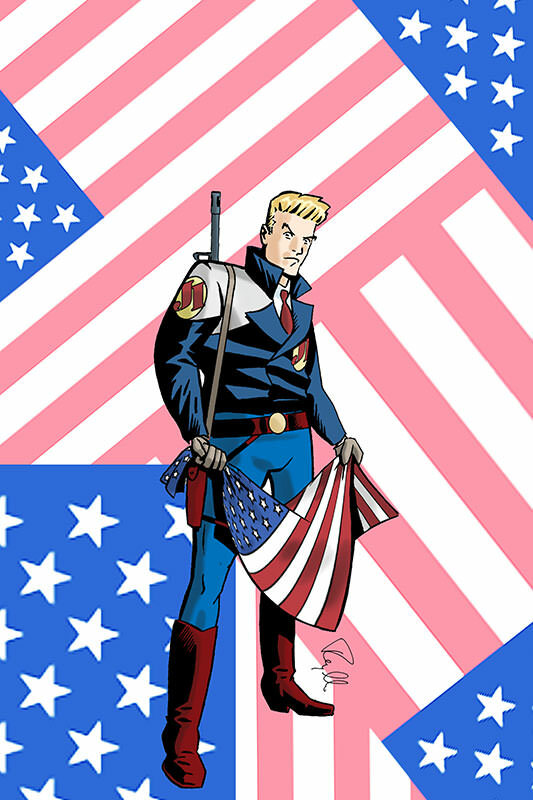 If you sign up for the service, as a word of advice, take a little time to organize and consolidate your bookmarks first; as an example, I maintain separate folders for personal, work and comics-related bookmarks. As most people know by now, Dropbox is a “cloud” service that allows users to store files and sync with multiple computers. By now, Dropbox is well known and remains the gold standard, having cashed in early on the Cloud service trend. Dropbox exists as its own folder on your desktop,which syncs to a master account, which in turn syncs to an identical Dropbox folder on whatever other computers you’ve connected to the account. It’s, of course, an efficient way to access and manage the same files on multiple computers without having to worry about having different versions. As this suggests, Dropbox is completely transparent to the user and acts like any normal folder on your desktop. Though I haven’t explored them much, Dropbox has other features that users may find helpful. As an example, the trash saved in the online account that saves earlier versions of deleted files turned out to be a lifesaver for me once! Though I mention Google Docs in passing above, my extensive use of this app has made GoogleDocs one of my most used apps. Initially created as a suite of web-based applications for word-processing, spreadsheets and presentation software, it’s morphed into a service that combines Microsoft Office features with Dropbox—it not only stores users’ GoogleDocs documents, but all kinds of other documents and files as well. Both Dropbox and GoogleDocs also provide specialized folders for publicly sharing files. Like Dropbox, GoogleDocs has helped hasten the move to cloud-based file storage. In fact, recognizing the increasing importance of the cloud feature, GoogleDocs has been re-branded as Google Drive with subtle changes to the app.